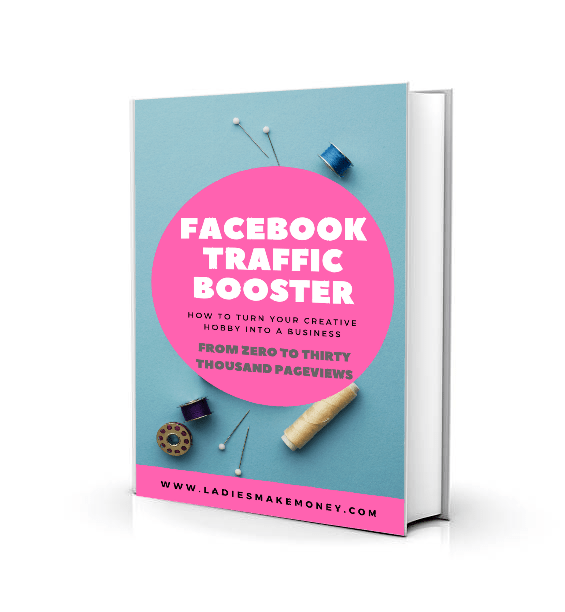 Not sure how to increase organic traffic? Today we are happy to have our guest blogger Yuwanda from Inkwell Editor. With so many of my readers having difficulties with how to grow organic traffic by using SEO best practices, we decided to come up with a blog post to help you out. Yuwanda is one entrepreneur that knows SEO best practices and we are happy to have her today. Today she will be touching on how to increase organic traffic from Google using SEO best practices. Before we get started on the different ways on how to increase organic traffic from Google and using SEO best practices, we would love for you to join our growing Facebook group right here! You can also join our Pinterest group by scrolling to the bottom of this page! And join us on Instagram! If you are looking for guest blogging opportunities or if you need a personal affordable coach to take you from A-Z, we can help you. Get all the juicy details right here! Have you seen our brand new shop! It is the acronym for search engine optimization. This is just fancy speak for doing certain things to a piece of content before it’s published to help ensure that search engines can index it, and return it in search results when web surfers are looking for info on that topic. They are many reasons why you would want to focus on SEO best practices and rank your blog pages on Google. For one, you will get massive blog traffic which could mean lot’s of money for your site, brand work opportunities and finally landing your business on the map. This is why I focussed my time on learning how to effectively increase organic traffic from Google. 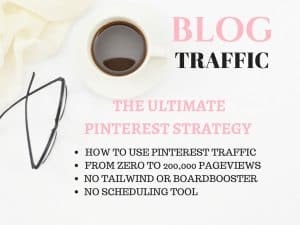 Goins, Writer had an extremely helpful blog post on how to get more blog traffic and keep it there. 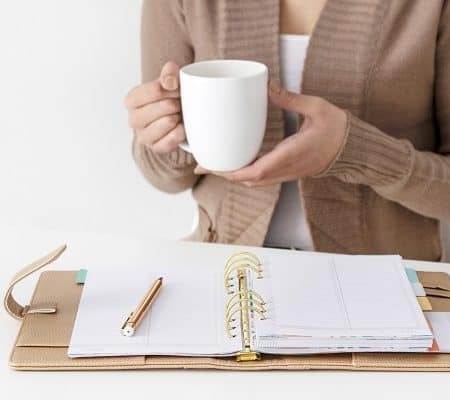 And three points I got out of this amazing post was how two write attractive headlines, why you should leave thoughtful comments on other people’s blogs and how to Optimize your site for search engines. All the tips provided in his post has inspired us and giving us more ways on how to increase traffic from Google for long-term results. 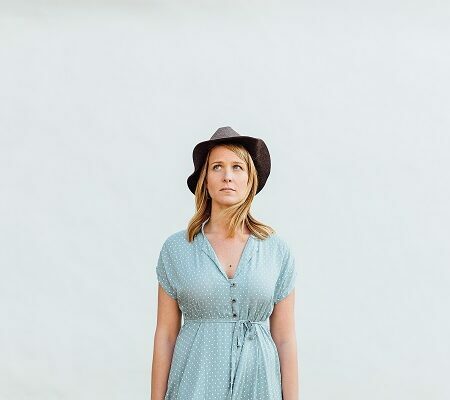 How this blogger went from zero to 200 thousand page views. There are a lot of moving pieces to the puzzle which can make it intimidating if you’re a newbie. But once you know the basics, it’s really quite simple. Now, let’s get to the topic at hand, which is how to increase organic traffic from Google – and other search engines. In the beginning, the creator made the internet. It eliminated the need for that thick Yellow book (the Yellow Pages) so many of us had relied on our whole lives to get information. We logged on, typed in a few words, and voila … more information than we knew what to do with popped up on the screen! Some of the info was good, but a lot of it was bad too. As businesses jockeyed for position on an increasingly crowded online superhighway, a Sheriff emerged. We’ve come to know him as Sheriff Google. Sheriff Google set guidelines for how to drive (market) on the highway in order to get and/or increase organic traffic from Google (the best platform). And every time someone found a way to flout one of the laws Sheriff Google laid down, he came up with a new set of laws (aka Google algorithms, eg, Penguin, Panda, Fred). Some of Sheriff’s Google’s laws severely punished bad actors who used what he called blackhat tactics to speed past others on the highway. He also rewarded those who played by the rules, sending them more and more blog traffic if they continued to behave themselves. That is the story of Google in a nutshell. Now, that you have some background, let’s get to some specifics on how to get the search giant to send you more traffic. We want to focus on how to increase organic traffic from Google in order to get traffic for years to come. And the only way to do this is by using SEO best practice. If you want to stay on the right side of Google and start getting more organic traffic flowing to your site, the following are four things you can do right now. The first thing you have to do to increase organic traffic from Google is to have information on your site that people are searching for. Answer sites are a great research tool to discover this. For example, take Yahoo! Answers. Using one of my niches (SEO writing) as an example, let’s say you were new to freelancing. You go scrounging around the internet searching for gigs, and you keep bumping into job ads that call for an “SEO writer”. what is SEO in writing? Where is a good place to learn SEO writing? Is there a good online source for SEO copywriting jobs? How to write a quality SEO article? How much do people charge to write SEO optimized website content? These are actual questions people have typed in to learn about this form of technical writing (including the grammatically incorrect first phrase). These would be good topics for me to craft an article about SEO writing. This leads me to my second tip. You must learn how to do keyword research in order to effectively increase organic traffic from Google to your site. In fact, I really enjoyed how Lena Gott takes you into step by step of conducting keyword research and where to place them. The in-depth videos follow her exact strategies on how to rank with the best keywords. Keywords are those words and phrases you type into Google (or your search engine of choice) when you search for something on the web. They tell search engines what a piece of content is all about. Using the right keywords will help increase organic traffic from Google more naturally. Once you’ve had an idea for what people are searching for online (Step 1), then cross-reference that with what your keyword search shows you. For example, if your research reveals that a lot of people are searching for “SEO content writing samples,” you can see from Step 1 about that “Content Writing Samples (SEO)” is one of the questions that popped up on Yahoo! Answer. So a lot of people just must want to know about this because it has been doubly confirmed. Hence, writing an in-depth post about SEO content writing samples would be a good post to start driving traffic on this topic. Note: Your keyword research will always give you traffic-generating keywords to write on. I love to use answer sites though because they reveal topics to write about that may not register just by seeing a list of words generated by a keyword research tool. 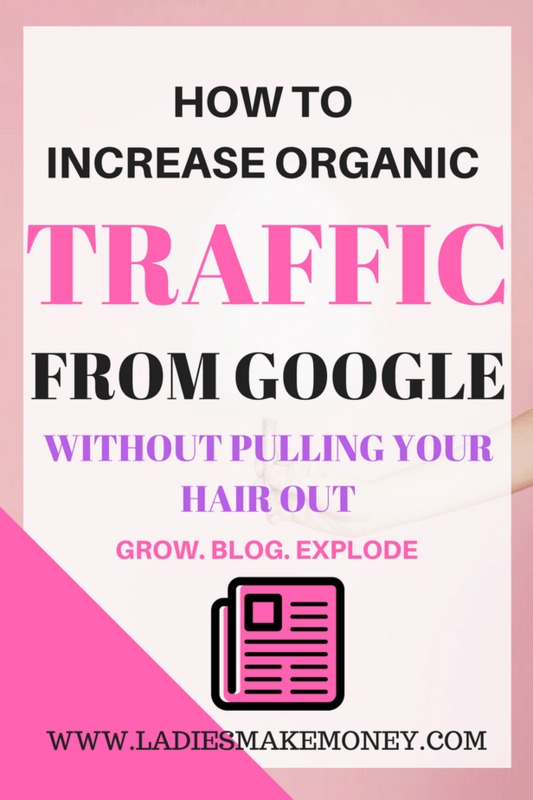 This is perfect for those really looking for ways to increase organic traffic from Google. 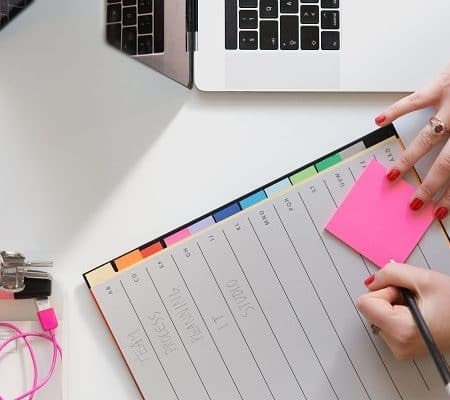 You might also want to check out this fantastic list of 10 Google Analytics SEO Hacks which will help increase organic traffic. Asks readers to take action (has a call-to-action statement). So much content on the web is simply regurgitated stuff that can be found on a gazillion and one website. Don’t produce content like this. Dig deeper. The more value you provide the more you will be able to increase organic traffic from Google. That’s one of the reasons Google has tended to favor longer (skyscraper) content the last few years in my opinion. These are those longer blog posts of 2000 words that go into tons of detail on a topic. This kind of content drives traffic to your website for years, by the way. 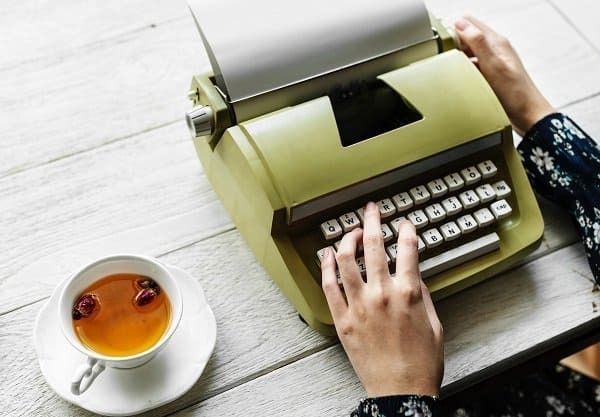 I know for sure that if you want to drive traffic to your website and increase organic traffic from Google, you need to write longer blog posts. I know bloggers that have written up to 4000 words! And if you’re thinking, “But some topics are so well covered there’s nothing new to say,” this is true. But, what can make it unique and insightful is your first-hand experience. My niche is freelance writing. And if there’s one niche that’s well covered on the web, it’s this one. That’s why many of the posts on my blog are written from the first-hand experience, and why readers continue to return. So when all else fails, write an in-depth post with all the info others have written about in order to increase organic traffic with Google. Then, add in your experience to make it stand out. This is a “can’t beat” writing combination in my experience. To make sure your content is properly coded so you can increase organic traffic from Google seamlessly, use the Yoast plugin. In case you don’t know what this is, it is often described as “the complete SEO solution for WordPress blogs.” It’s one of the easiest ways to make sure you’ve covered everything related to SEO before you publish a post. It tells you things like the keyword density of your post, how many times the keyword appears in titles within the post; if your keyword has been used in the URL, and so much more. If you looking online, you will find a lot of conflicting information on the ideal keyword density which will allow you to rank and increase organic traffic from Google. You might want to check out Hobo Uk services, where they explain what the ideal keyword density percentage you need to improve your rankings in Google. Tip: If you haven’t used the Yoast plugin yet, install it and go to the most popular posts on your blog and SEO them first. Then, work your way back through all of your old content, and be sure to use it moving forward with all new posts. 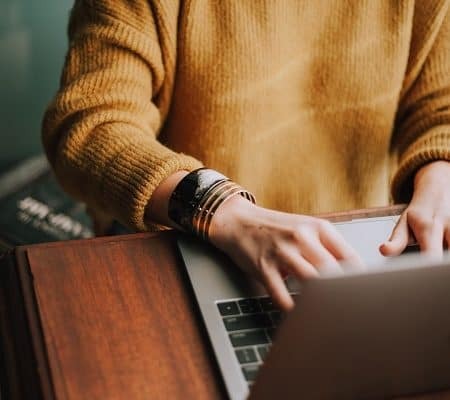 There is sooooo much more to SEO best practices, but these four tips can get you headed in the right direction in your efforts to increase organic traffic from Google to your blog. One final thing: SEO is mercurial; it’s constantly changing. However, the basics have remained practically the same since I became knowledgeable about it I 2007. Once you get an SEO foundation under you, keeping abreast of the changes in search is a breeze. If you don’t learn the basics, it’s that much harder to really comprehend SEO and everything needed for SEO best practice. 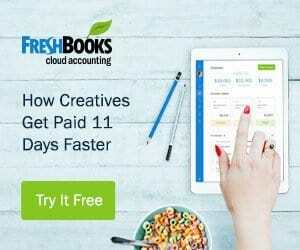 Now that you have all the tips you need in order to increase organic traffic from Google, you need to know to monetize your traffic. Want more in-depth information like this that can help you make really good money online from the organic traffic you generate? Subscribe to our email list to have it delivered right to your inbox. Then, get busy taking action! Did you enjoy our post on how to increase organic traffic from Google? How do you get more traffic from Google? Tell us below. Don’t forget to PIN and Bookmark this post to read later. More Blogging Tips! 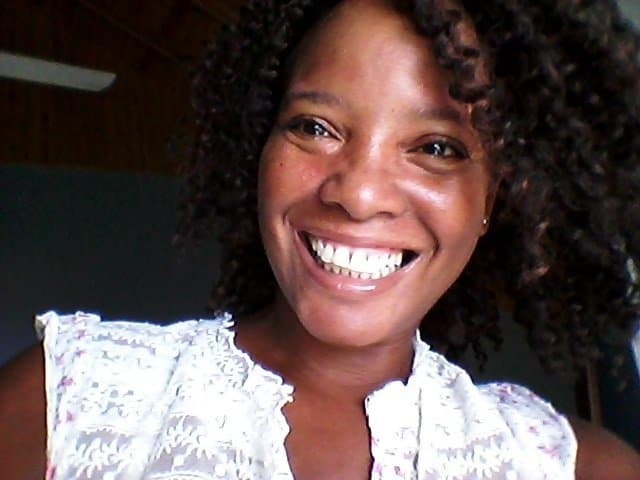 About the Author: Yuwanda Black heads New Media Words, an online (SEO ) writing company. She is the developer of a leading online SEO copywriting course, which she’s taught since 2009. She can be found on Pinterest and Twitter at @InkwellEditor. Please let me know if you’re looking for a writer for your blog. You have some really good articles and I believe I would be a good asset. If you ever want to take some of the load off, I’d really like to write some content for your blog in exchange for a link back to mine. Please shoot me an email if interested. Thank you! Thanks for this! 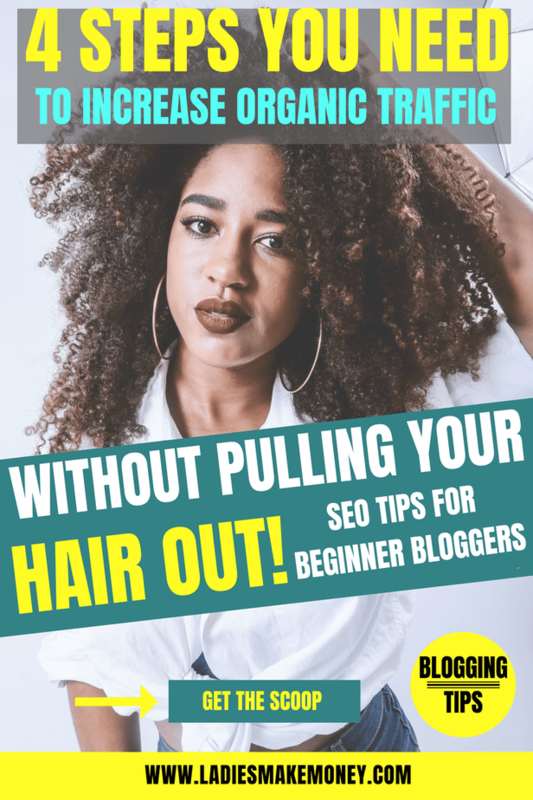 I’m a new blogger and am not on Google’s radar yet haha but I’m definitely going to tart implementing some of these tips! I hope it helps you in the long run. You can get massive blog traffic directly from Google if you follow the tips. Thank you thank you! This is something I definitely need to work on- especially the keywords. Yes. Many bloggers do not focus on proper keyword research. I hope you see results soon. LOVE! I never thought to check out Yahoo Answers. How easy is that! Thank you so much for sharing! Thanks for sharing these great tips! I appreciate every helpful tip people can offer regarding increasing traffic. I especially like tips #1 and #2. I’ll have to try them! Great tips! I’ve definitely noticed a huge difference in traffic since I’ve started focusing on writing in-depth, longer posts.